*Disclosure: I received a complimentary hotel stay, ferry passage on Miller Ferry, Perry's Cave tickets, a golf cart rental, and media tickets to LEAFF in exchange for this post. The opinions expressed here, however, are my own. 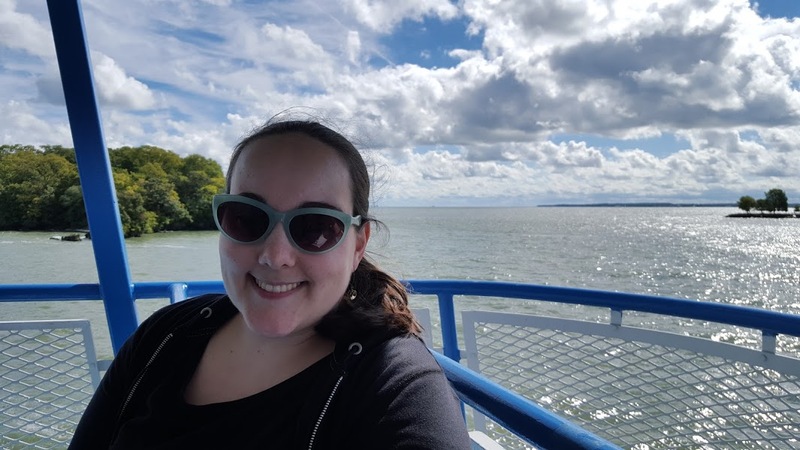 This past weekend, I was able to experience the first annual Lake Erie Arts & Film Fest (LEAFF) in Sandusky, Ohio, as well as spend a day on Put-in-Bay, an island which is about a 15-minute ferry ride from the mainland (Port Clinton). On Friday, I ducked out of work a bit early and we arrived at Comfort Inn, Sandusky, around 5pm. I hadn't stayed at a Comfort Inn in a few years, and this one had a spacious room, and was very nice. It was also very centrally located, on Milan Rd. about ten to fifteen minutes from downtown Sandusky and about fifteen minutes from Cedar Point. After that, we grabbed some dinner at Fazoli's (one of my favorite chains, and the only Michigan ones are about 1-2 hours away from me), and headed to downtown Sandusky to take in our first movie of the festival, It's Not a Date. I had never been to downtown Sandusky before so I wasn't sure what to expect, but it's a rather charming downtown area and is right on the lake; it's very beautiful there. 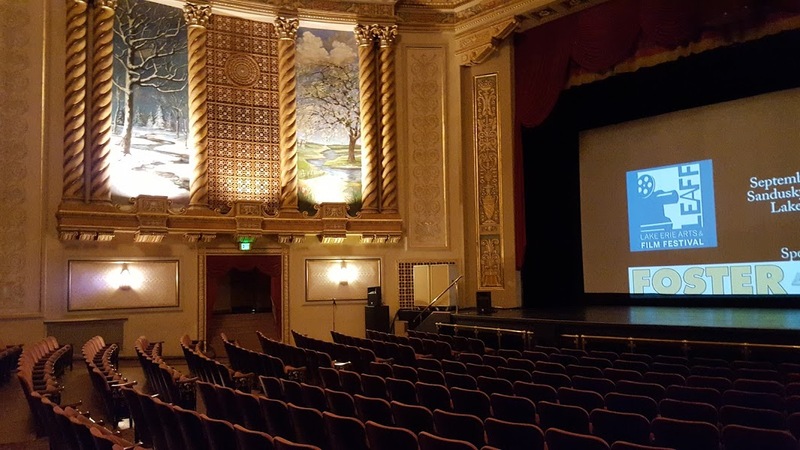 LEAFF had a few venues going on for the festival but the two we went to were the old Calvary Temple - a converted temple that now has a few pews, plus (for the fest) a movie screen set up - and the Sandusky State Theatre (pictured above). The Sandusky State reminded me a LOT of the Michigan Theater (Ann Arbor), though it's a little smaller. This was the first movie we saw, at the old Calvary Temple. The plot was definitely weird but also coherent, and the film kept getting weirder and weirder. I'd give it 2.5/5 stars, and it wasn't a bad movie to open up LEAFF with (for me). These were the first two we saw at the Sandusky State, the next day (Saturday). I had wanted to see Jojo because I missed it at Cinetopia this year (Detroit/Ann Arbor film fest). Lemonade was very cute and I'd give it 3/5 stars. Jojo had a good premise, but unfortunately the acting was not great; I'd give it maybe 2.75/5 stars. It reminded me a lot of The Kings of Summer, which I reviewed back in 2013, as well. Foodfellas was very satirical - I'd say it's Goodfellas meets Scarface but about the fast food world, as it follows "McRonald's" (aka McDonald's) and its king, Ron the Don. I'd give it 2.5/5 stars, it was funny but in an ironic/weird way. Just Eat It was my favorite film of the fest, at least out of the movies I saw, and it was a very well-made documentary about wasting food; a couple from Canada decided to live on "food waste" (good food that otherwise would've been thrown out) for 6 months. It was shocking to see exactly how much food we waste, and Variety and others have given this film a positive review, for a good reason - check it out if you can find it, it was on Netflix at one point but currently is not. 4/5 stars. Overall, I think next year LEAFF will continue to improve; there were some aspects of it that definitely could use improvement, since this was the first year of the festival, but I enjoyed myself and the movies I saw were all very unique. Saturday night we headed over to Cedar Point for a few hours (big shoutout to Anna Mae over at Ann Arbor with Kids, for hooking us up with some CP passes! ), and then Sunday we headed to Put-in-Bay, another Ohio attraction/town I hadn't yet visited. 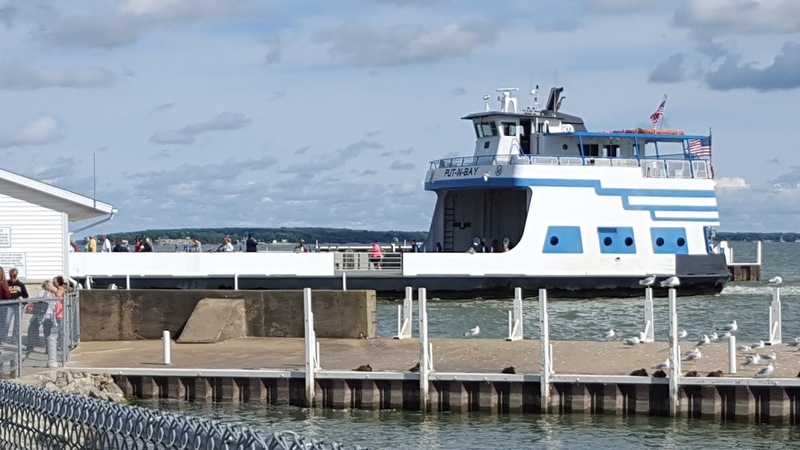 The Miller Ferry is the easiest way to get to the island, and it's $7 for adults one-way ($14 roundtrip), $1.50 for children (6-11 years of age), and free for children under age 6. The ferry picks up at Catawba (Port Clinton, OH) and drops you on Put-in-Bay, right near a few golf rental places which is convenient. Make sure to check out the ferry website before going - I noticed last night that it has a ton of coupons that I would have liked to have printed out beforehand. 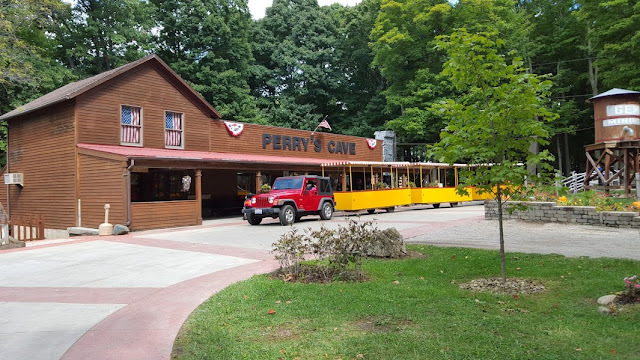 We headed to Perry's Cave Family Fun Center to start off our time on the island, which was a good choice, as it had a lot of activities to do. 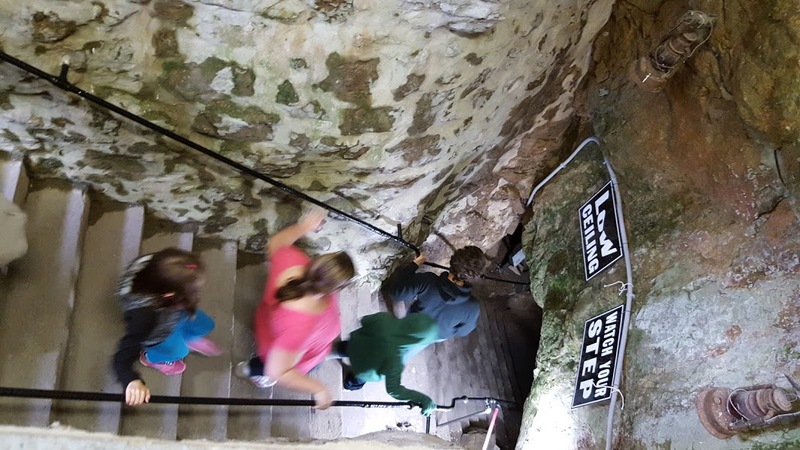 I can see families really enjoying this place, but as two adults we enjoyed it as well. The cave itself was very intriguing, as it's been around since the 1870s. I figured we would be taking a shuttle or something to get there, but it's actually UNDER the building itself, and our tour guide led us down there. The cave is NOT the place for you if you are claustrophobic; I'm 5'4" and had to duck down a few times when walking around (my boyfriend is 6'2" so it wasn't a picnic for him either!). I love historical things and the tour guide was very informative, which was great. 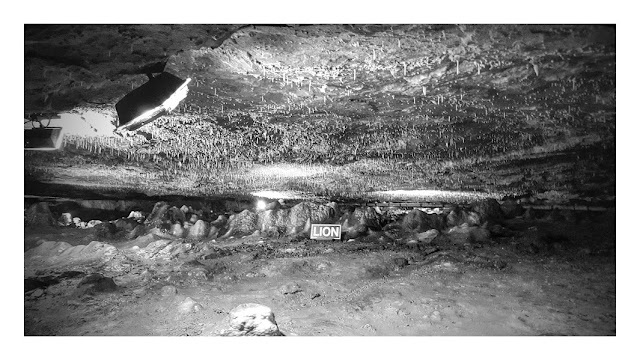 We saw all sorts of interesting formations in the cave, too. You can choose to buy a ticket for any of the Perry's attractions individually, or do a combo ticket (3 attractions), for $19 (adults) or $11 (children). Otherwise, individual adult tickets are $8 each or $4 for children ages 6-12. 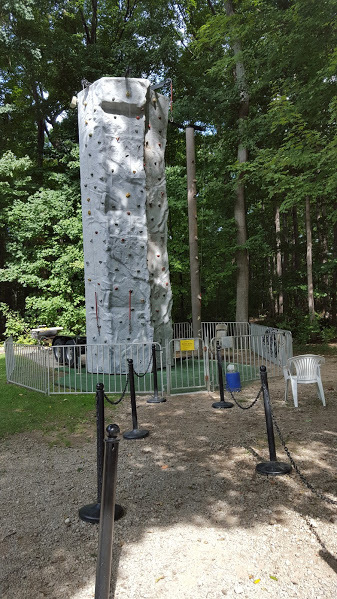 Perry's also had mini golf, a rock climbing wall, a maze, and a butterfly house. After Perry's, we headed to Put-in-Bay Brewing Co. for lunch, and tried their Firehouse pizza, which was delicious; it had a roasted red pepper pesto sauce and was topped with grilled chicken, green peppers, onions, and a cheddar/mozzarella cheese blend. Later I wish I had looked on the Miller Ferry coupon page beforehand because there was actually a $2 off any large pizza coupon, so make sure to check out the page before your visit. We also stopped by the Put-in-Bay Winery briefly, to try a wine sampling (one mini glass of wine each, though you can choose up to 4-5, I believe) and redeem our coupons for a free chocolate-covered strawberry (yum!). When I have more time, I'd like to do an actual wine tasting (4-5 mini glasses) too. 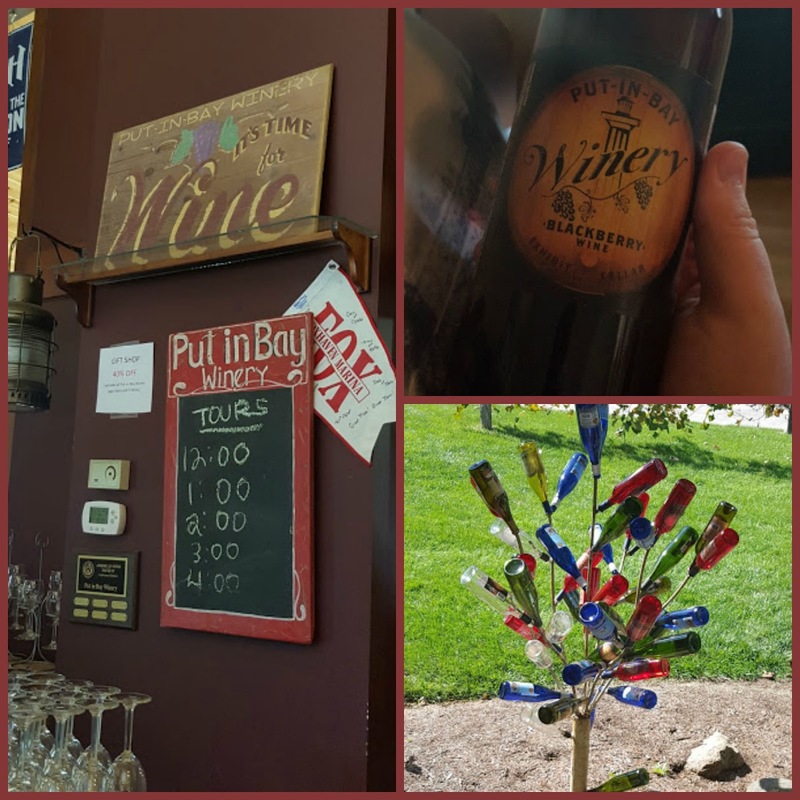 The winery itself is a large house, and has a front lawn where there were people sitting and enjoying their bottles of wine that they had bought. Overall, we had a fantastic day on the island, and I'd love to go back sometime next summer or fall, and maybe stay for a weekend or even a week. It's the perfect venue for any type of trip - a family vacation, a romantic getaway, or even a girls' weekend, and it reminded me of a cross between Newport, RI and Tybee Island, GA.
Don't forget to check out Miller Ferry's website for directions, parking, and the ferry schedule, and you can follow them on Facebook, Twitter, Instagram, and Pinterest, as well. You can find Put-in-Bay on Facebook and Twitter, too - be prepared for some gorgeous island pics! Its official website is visitputinbay.com, too, to help you plan your visit. 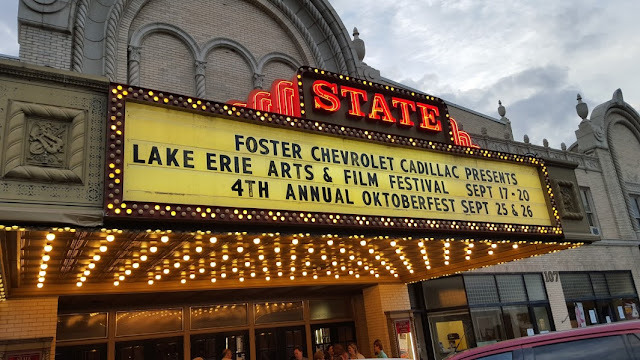 A big thanks to Jill at Lake Erie Shores & Islands for arranging my itinerary for this weekend, as well as Katrina over at Miller Ferry for my Put-in-Bay activities and Peter with the LEAFF for media passes for the film fest! Check out the Put-in-Bay Visitors & Convention Center here. 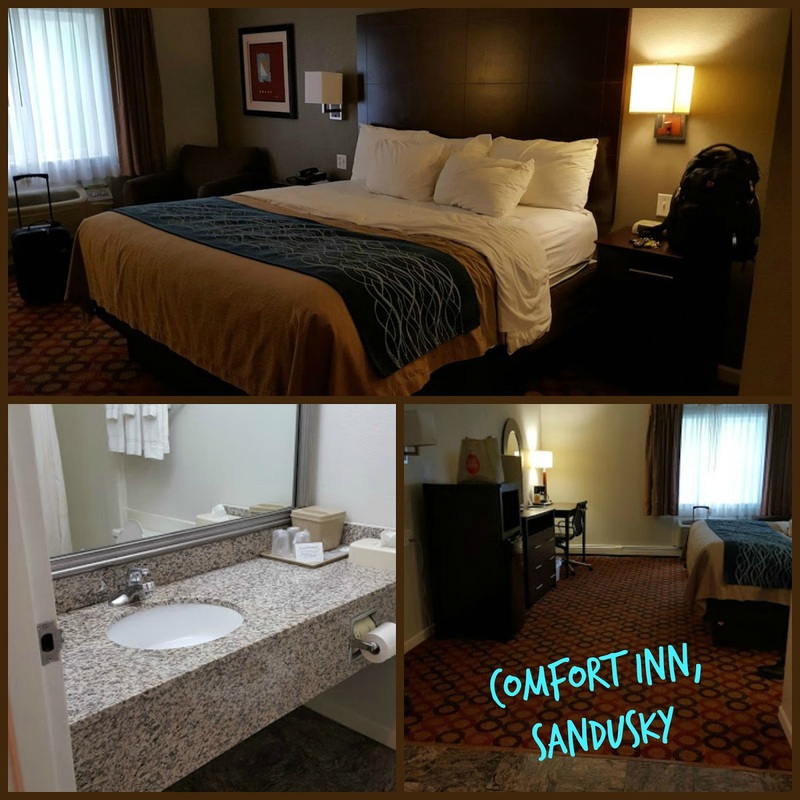 Have you ever been to Sandusky or Put-in-Bay? 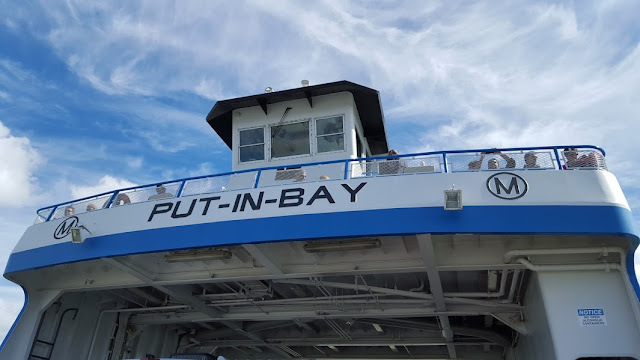 What activities would you like to do on Put-in-Bay?